With music by David Friedman (Listen to My Heart) and lyrics by Peter Kellogg (Anna Karenina), the album is produced by Robert Sher with liner notes by Peter Filichia. 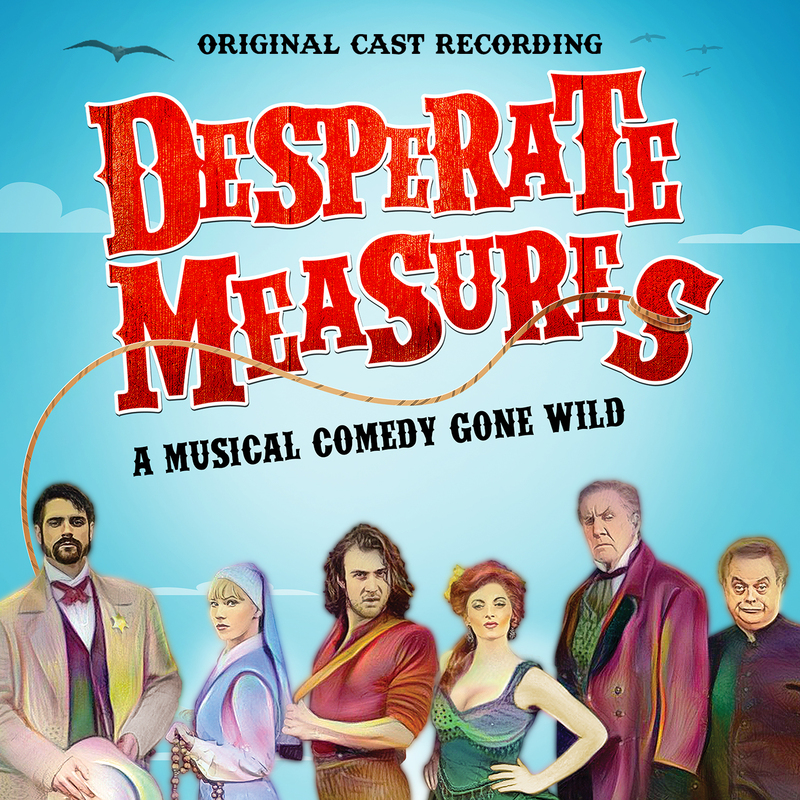 Described by the Huffington Post as “a good old-fashioned musical comedy… a happy surprise of a show filled with enjoyable songs,” Desperate Measures is currently running at New World Stages in New York City. Inspired by Shakespeare’s Measure for Measure, the musical is a joyful, madcap comedy that also manages to ponder the nature of justice. The hilarious new musical tells the tale of Johnny Blood, a handsome young man whose life is in danger over a saloon brawl. Set in the early 1890’s, Johnny must put his fate into the hands of a colorful cast of characters including a wily sheriff, an eccentric priest, an authoritarian governor, a saloon girl gone good, and a nun out of the habit- as they all struggle to decide Johnny’s fate. Laws are broken and hearts are won as they try to find justice in a world that often doesn’t seem just.